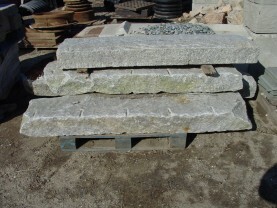 Reclaimed/Salvaged granite is s a fabulous product for steps, walls and posts. Not only is this a "green" product because it is salvaged from older homes and buildings, but it is also looks beautiful and is resistant to acid rain. 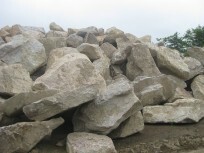 When granite ages it develops a rich patina that cannot be recreated in quarried new granite. 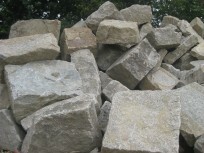 We offer these stones in a variety of sizes and even have hand-chiseled blocks. 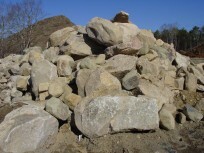 This New England classic will have you feeling as though a little bit of an era past lives on in your landscape.